The Area Agency on Aging is happy to offer and participate in a variety of events in the West Alabama area. Check out images and information from some of the events and fun we had in 2018! This past spring, the West Alabama Area Agency on Aging was awarded a 2018 Dementia Friendly Community mini-grant from the Central Alabama Aging Consortium (CAAC) under CAAC’s Dementia Friendly Alabama Initiative. 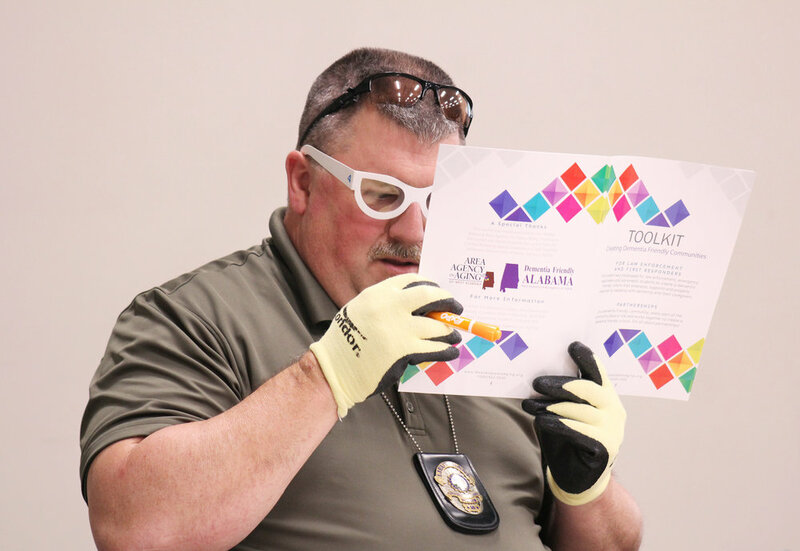 Funding from the grant was used by our agency for outreach in our seven county West Alabama region as well as Dementia Friendly training for law enforcement and first responders, the purchase of Dementia Friendly Toolkits and Project Life Connect red envelopes created by the Middle Alabama Area Agency on Aging (M4A), copies of the book “The 36 Hour Day” written by Nancy L. Mace, MA and Peter V. Rabins, MD, MPH, which will be distributed to caregivers in West Alabama, and to print Dementia Friendly resource packets designed by the West Alabama Area Agency on Aging. 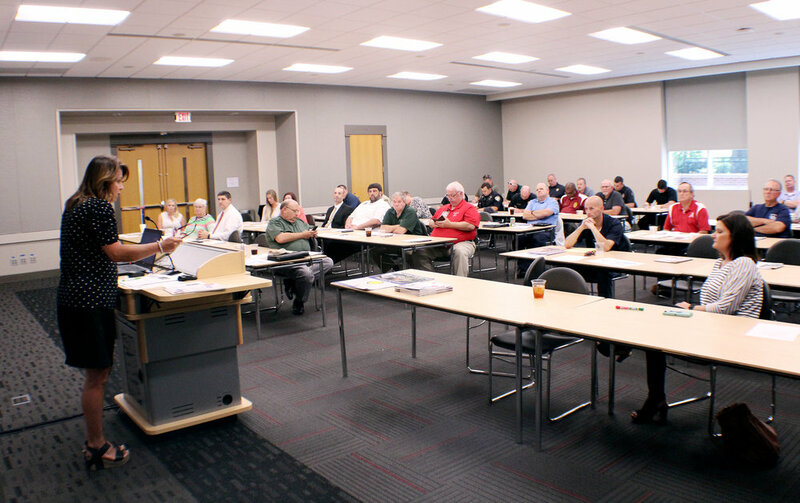 Over 45 people from all over Alabama attended Law Enforcement and First Responder Dementia Friendly Training Tuesday, July 24th, at the Bryant Conference Center in Tuscaloosa. 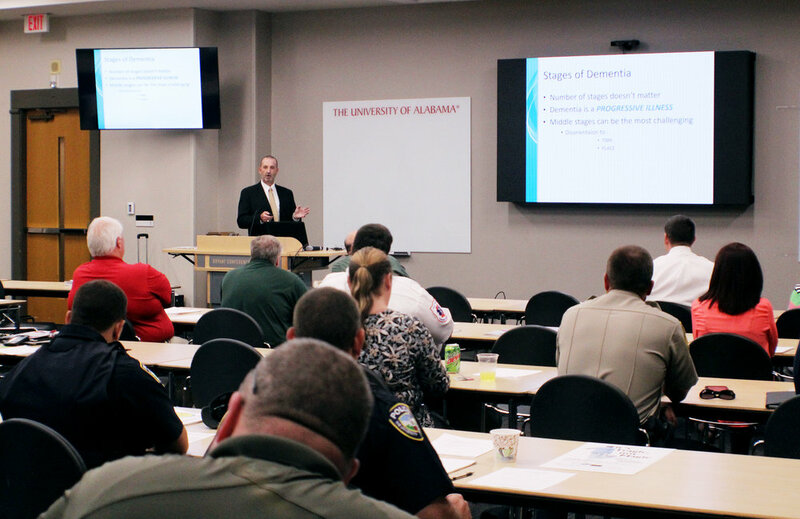 The event featured speakers from a variety of backgrounds including doctors, social workers, law enforcement and first responders to show the importance of how being educated in Dementia will make Alabama a more Dementia Friendly community. The West Alabama Area Agency on Aging would like to thank the Alabama Department of Senior Services (ADSS); CAAC; M4A; Dementia Friendly Initiative; Vicki Kerr, of Caring Days; Bill Anderson, Tuscaloosa County Sheriff’s Office Deputy; Keith Fair, Tuscaloosa County Sheriff’s Deputy/Mental Health Task Officer; Officer Josh Senkbeil, of the Tuscaloosa Police Department; Dr. Donal Conway, Medical Director and Chairman of Emergency Medicine at DCH Regional Medical Center; Travis Parker, EMS Program Specialist at the University of Alabama; volunteer Beverly Callahan and everyone else who attended and has a heart for dementia awareness. 31st Annual West Alabama Senior Appreciation Day! Did you join us at 2018 Senior Appreciation Day?! Check out this video for a recap of all the excitement, laughs and special moments! Check out the local media coverage of Senior Appreciation Day! This free, educational event for the community featured speakers from the University of Alabama’s Elder Law Clinic discussing topics related to the next chapter in life for people age 60 and older, caregivers or loved ones of people age 60 and up.